Sail ho! The cry that once echoed across the most remotest settlement on earth tells a story of a community that will always rely entirely on shipping to link it to the outside world. 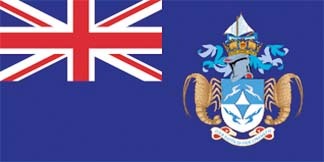 These are exciting times for the people of Tristan da Cunha. There’s a new lifeline vessel, and there’s a new drive to bring more cruise ships to this jewel of the South Atlantic. 200 years after its British settlement, Tristan, home to around 260 UK citizens and to millions of globally-important seabirds, still celebrates its maritime heritage. Pensioners now living in its one settlement, Edinburgh-of-the-Seven-Seas, can clearly recall the days when the sight of a passing ship would trigger a dash to sea in traditional hand-built longboats, to barter meat and knitwear for flour and manufactured goods. In 2017, this unique island community welcomes the arrival of every vessel, and it faces an unusual challenge. There’s a permanent waiting-list of passengers who want to visit, due to a shortage of available berths. Tourism co-ordinator Dawn Repetto says “Tristan is a magnificent place to visit. Its culture, wildlife and tranquillity provide something not to be missed. We’re deep in the South Atlantic Ocean, 1,700 miles from Cape Town, and can only be reached by ship. We’re a ‘bucket list’ destination for people who dare to imagine a life without aeroplanes, 5 star hotels and busy streets”. Discovered in 1506 and inhabited in 1816, Tristan has a remarkable story and many of its people are descended from shipwrecked sailors. The island is 37 square miles in size and is the largest of a group of islands, Inaccessible lying 20 miles to the west, Nightingale 25 miles to the south west and Gough 220 miles to the south. The community is very proud that Inaccessible and Gough are UNESCO World Heritage Sites, a bird watcher’s paradise. After an especially difficult winter in 1906, and years of hardship since the 1880s, the British government offered to evacuate the island. Those remaining on Tristan held a meeting and decided to refuse, thus deepening the island’s isolation. It was reported that no ships visited from 1909 until 1919, when HMS Yarmouth finally stopped to inform the islanders of the outcome of World War I.